I went here for lunch today with my boss, Julia Caswell Daitch. It looks like it does mostly a carry-out business, which is what we ended up doing. 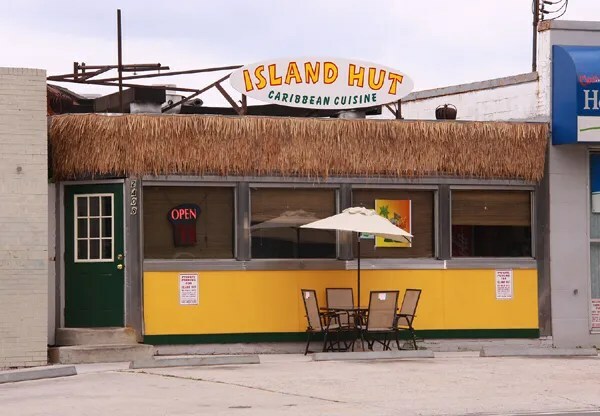 I had the Jerk Chicken, she had the Chicken Curry. Both were excellent. 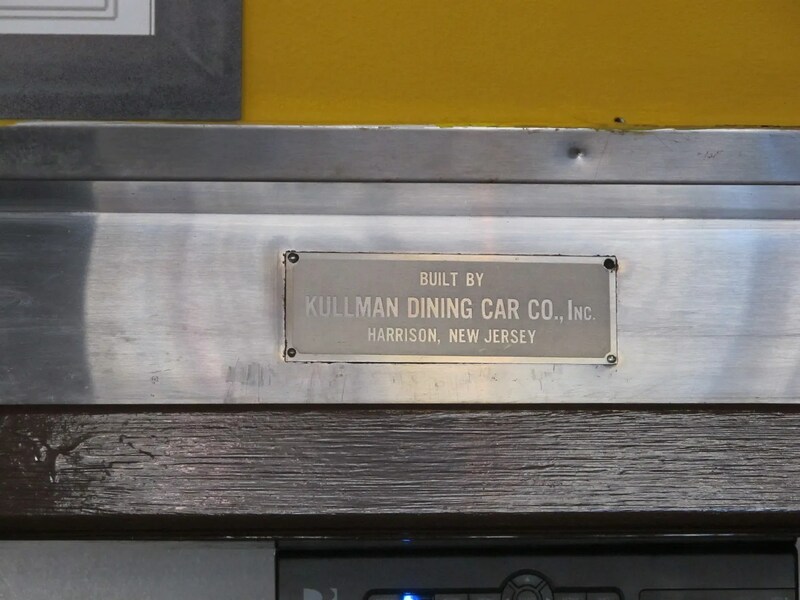 This diner is a 1950s Kullman Dinette model, and originally operated as the Short Stop Diner. The window counter is still there, but now there are also tables. The backbar equipment, grill, refrigerator, etc. has been removed. 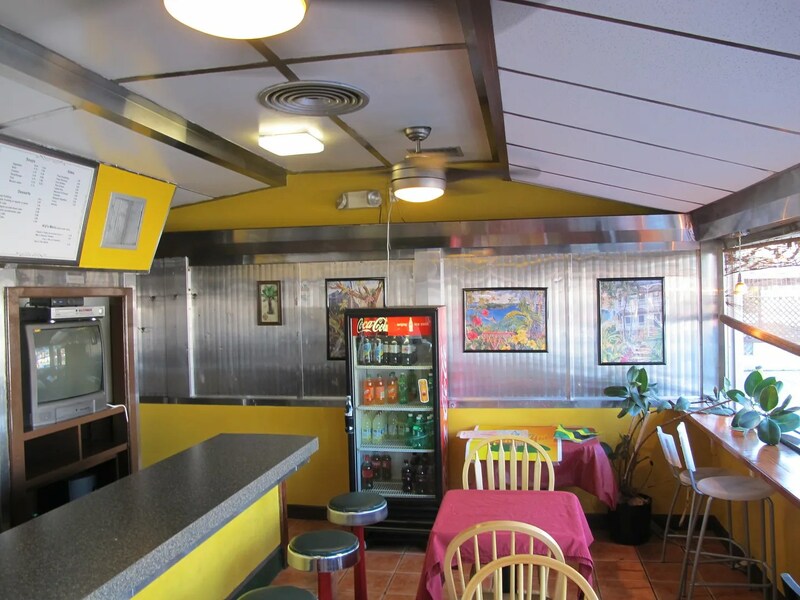 The counter and floor have been replaced. 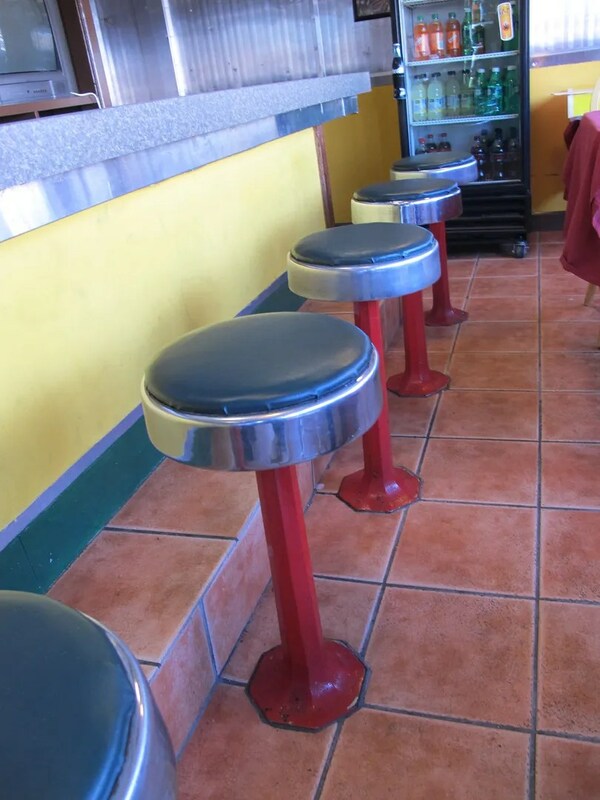 But the stools, stainless and Kullman tag are still in-tact.